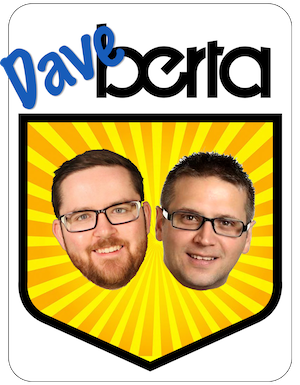 Alberta Candidate Nomination Update: A Big One. We are now about one year away from Alberta’s next provincial general election and the list of candidates running for party nominations is growing. The Alberta Party has announced that Abigail Douglass will be their candidate in the upcoming Innisfail-Sylvan Lake by-election. A party press release states that Douglass grew up on her family’s farm near Penhold and attended Gateway Christian School in Red Deer. She attended King’s University in Edmonton and served two-terms as president of the students’ association. She earned a Bachelor of Commerce Degree at King’s. The New Democratic Party is expected to nominate Nicole Mooney as their candidate at a nomination meeting on May 25, 2018. Mooney lives in Sylvan Lake and teaches English at St. Joseph’s High School in Red Deer. She is the Communications and Political Engagement Officer with Alberta Teachers’ Association Local 80. NDP MLA David Eggen seeking the NDP nomination in Edmonton-North West. Eggen is currently serving his third-term as an MLA for Edmonton-Calder. Once again, the Poland of Alberta’s electoral map, Edmonton-Calder will be renamed Edmonton-North West as large swaths of the former district will become part of Edmonton-City Centre, Edmonton-Glenora and Edmonton-West Henday. United Conservative Party MLA Prasad Panda is seeking his party’s nomination for re-election in the new Calgary- Edgemont district. Panda was first elected in a 2015 by-election in Calgary-Foothills. He was the 2012 and 2015 Wildrose Party candidate in the neighbouring Calgary-Northern Hills district. NDP MLA Graham Sucha is seeking his party’s nomination in Calgary-Shaw. Sucha was elected as the MLA for this district in 2015, earning 31.3 percent of the vote ahead of PC MLA Jeff Wilson with 30.7 percent and Widlroser Brad Leishman with 30.4 percent. 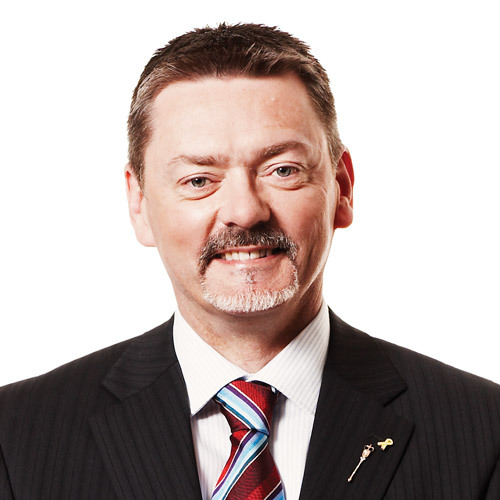 UCP MLA Wayne Anderson has announced he is seeking his party’s nomination in the Highwood district. 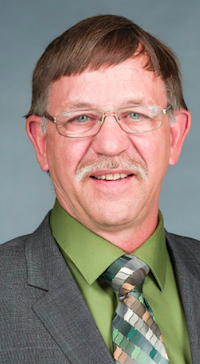 Anderson was first elected as a Wildrose Party MLA in the district in 2015 with 41 percent of the vote. Changes to the electoral boundaries have moved the Town of High River into the neighbouring Livingstone-Macleod district. This district was previously represented by former Wildrose Party leader Danielle Smith from 2012 to 2015. Alberta Party leader Stephen Mandel has been nominated as his party’s candidate in this southwest Edmonton district. Mandel represented this area of Edmonton as a City Councillor from 2001 to 2004. He served as the Progressive Conservative MLA for the neighbouring Edmonton-Whitemud from 2014 to 2015. Former Alberta Party leader Greg Clark has been nominated as the Alberta Party candidate Calgary-Elbow. Clark became the Alberta Party’s first elected MLA in 2015 when he was elected with 42 percent of the vote. 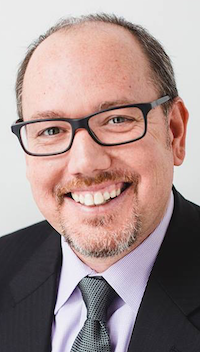 Banff-Kananaskis – According to Elections Alberta, restauranteur Scott Winograd has withdrawn from the UCP nomination in this district. Calgary-Buffalo – Omar Masood has been nominated as the Alberta Party candidate in the newly redrawn Calgary-Buffalo district. Masood was the first candidate nominated to run in the 2019 election when he was nominated to run under the currently existing boundaries in November 2016. Calgary-Cross – Roshan Chumber is seeking the UCP nomination. Calgary-Currie – Bettina Pierre-Gilles is seeking the UCP nomination. She is the President and CEO of Luxeum Renewables Group Inc. and is a member of the UCP Policy Committee. 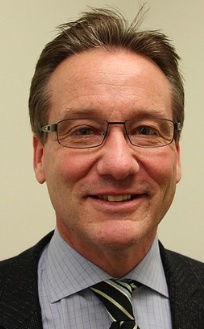 Calgary-Glenmore – Michael LaBerge is the fifth candidate to enter the UCP nomination contest in this southwest Calgary district. LaBerge is president of Channel Energy Inc.
Calgary-Mountain View – Jeremy Wong is seeking the UCP nomination. Wong is a pastor with the Calgary Chinese Alliance Church and recently completed a Master of Public Administration at the University of Calgary. Calgary-North East – Anand Chetty is seeking the UCP nomination. Chetty is the owner of Calgary Rocky Tours. Calgary-North West – Cam Khan is seeking the UCP nomination. 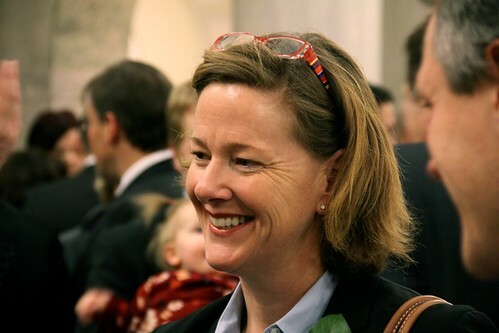 Calgary-Varsity – Lesley Doell has withdrawn her candidacy for the UCP nomination in Calgary-North West and is now running for the UCP nomination in the neighbouring Calgary-Varsity district. 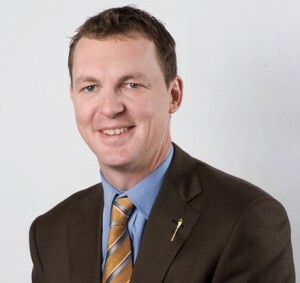 Chestermere-Strathmore – David Campbell will challenge Chestermere-Rockyview MLA Leela Aheer for the UCP nomination in this new district. Drayton Valley-Devon – Kieran Quirke is seeking the NDP nomination. He is the Chair of the Leduc-Nisku Economic Development Board and co-chair of the Alberta NDP Rural Caucus. The NDP have scheduled a nomination meeting to take place on June 23, 2018. Also, Andrew Boitchenko challenging incumbent MLA Mark Smith for the UCP nomination. Drumheller-Stettler – Todd Pawsey is seeking the UCP nomination. Pawsey is a Development Officer with the County of Paintearth. Also seeking the nomination is Nate Horner, a rancher and grandson of former Member of Parliament Jack Horner. Edmonton-Ellerslie – Sanjay Patel is seeking the UCP nomination. 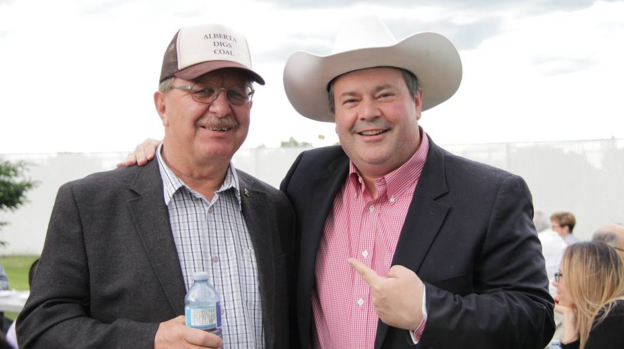 Edmonton-Gold Bar – Former PC MLA David Dorward is seeking the UCP nomination. Dorward served as MLA for this district from 2012 until 2015 when he was unseated by New Democrat candidate Marlin Schmidt. Diana Ly is seeking the Alberta Party nomination. Edmonton-Highlands-Norwood – Tish Prouse is seeking the Alberta Party nomination. Prouse was a candidate for Edmonton City Council in Ward 7 in 2013 and Ward 6 in 2017. Michael Kalyn is seeking the UCP nomination. Edmonton-Mill Woods – Anju Sharma is seeking the Alberta Party nomination. Edmonton-Rutherford – Laine Larson is seeking the UCP nomination. Larson is an Independent Contractor with Malley’s Gourmet and the step-son of former Reform Party Member of Parliament Deborah Grey. 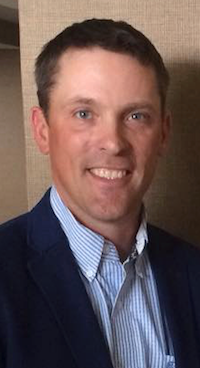 Fort Saskatchewan-Vegreville – Darryl Kropielnicki is seeking the UCP nomination. Grande Prairie – Tracy Allard is seeking the UCP nomination. Allard is the owner of several Tim Hortons franchaises. Grande Prairie-Wapiti – Kate Potter is seeking the UCP nomination. She was first elected to the Town of Sexsmith Council in October 2017. Lac Ste. Anne-Parkland – Everett Normandeau and Barbara Costache are seeking the UCP nomination. Normandeau is the owner of Summit Land and Environmental Inc. Costache is a Governor on the Board of Directors of the Lifesaving Society Alberta and Northwest Territories Branch. Lacombe-Ponoka – Rita Reich is challenging MLA Ron Orr for the UCP nomination in this central Alberta district. Leduc-Beaumont – Jan Becker is seeking the Alberta Party nomination. He is the executive director of the Leduc #1 Energy Discovery Centre in Leduc County. 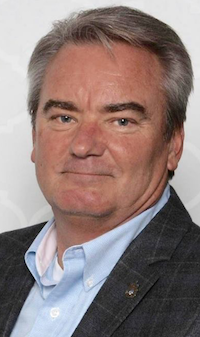 Livingstone-Macleod – Roger Reid is seeking the UCP nomination. Reid is the owner of Tim Hortons franchises in Nanton and Clareshold and is chair of the Claresholm and District Health Foundation. Maskwacis-Wetaskiwin – Donna Andres and Richard Wilson are seeking the UCP nomination. Andres served on Wetaskiwin City Council from 2001 to 2007. This entry was posted in Alberta Politics and tagged Abigail Douglass, Alberta Election 2019, Alberta Election Candidate Nominations, Alberta NDP, Alberta Party, Anand Chetty, Anju Sharma, Banff-Kananaskis, Brad Leishman, Calgary-Buffalo, Calgary-Cross, Calgary-East, Calgary-Elbow, Calgary-Glenmore, Calgary-Mountain View, Calgary-North East, Calgary-North West, Calgary-Northern Hills, Calgary-Shaw, Calgary-Varsity, Cam Khan, Candidate nominations, Chestermere-Strathmore, Danielle Smith, Darryl Kropielnicki, David Campbell, David Dorward, David Eggen, Deborah Grey, Diana Ly, Donna Andres, Drayton Valley-Devon, Drumheller-Stettler, Edmonton-Beverly-Clareview, Edmonton-Castle Downs, Edmonton-Ellerslie, Edmonton-Gold Bar, Edmonton-Highlands-Norwood, Edmonton-McClung, Edmonton-Mill Woods, Edmonton-North West, Edmonton-Rutherford, Everett Normandeau, Fort Saskatchewan-Vegreville, Graham Sucha, Grande Prairie, Grande Prairie-Wapiti, Greg Clark, Haley Wile, Highwood, Innisfail-Sylvan Lake, Innisfail-Sylvan Lake by-election, Jack Horner, Jan Becker, Jeff Wilson, Jeremy Wong, Kate Potter, Kieran Quirke, Lac Ste. Anne-Parkland, Laine Larson, Leduc-Beaumont, Leela Aheer, Lesley Doell, Livingstone-Macleod, Marlin Schmidt, Maskwacis-Wetaskiwin, Matt Chapin, Michael Kalyn, Michael LaBerge, Mohamad Rahall, Nate Horner, Nicole Mooney, Omar Masood, Red Deer-North, Red Deer-South, Robert O’Leary, Roger Fodjo, Roger Reid, Roshan Chumber, Sanjay Patel, Scott Winograd, Stephen Mandel, Tim Hortons, Tish Prouse, Todd Pawsey, Tracy Allard, United Conservative Party, Wayne Anderson, Wildrose Party on May 25, 2018 by Dave Cournoyer. a look at the candidates lining up in the race to replace ed stelmach. The candidates lining up to replace Premier Ed Stelmach as leader of the PC Party have been campaigning for months, yet what should be the hottest political leadership contest of the year has so far been a quiet affair. 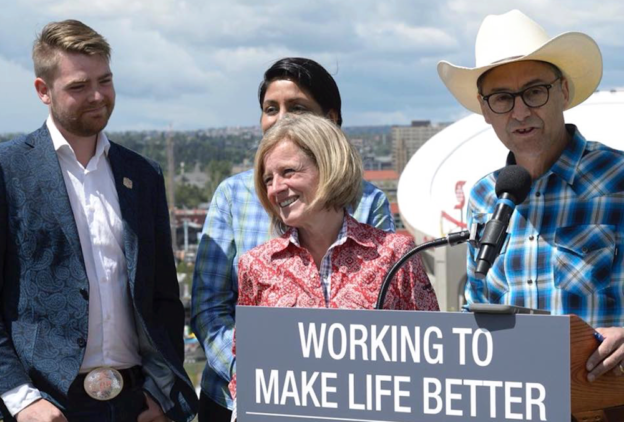 Will it take the summer months to heat up this contest, or will Albertans wait until the September 17 first ballot vote approaches before they begin to pay attention? Elected experience: MLA for Wainwright from 2002-2004 and Battle River-Wainwright from 2004 to present. Background: An underdog in this contest, Mr. Griffiths’ public musings have made him a pariah among some fellow conservatives and his openness to go to these uncomfortable places makes him unique when contrasted with the large contingent of comfortably-silent MLAs in the PC caucus. These musings have likely cost him a spot in cabinet, but they have also built him a solid following of supporters online. Despite support of some rural high-rolling Tories, word on the street is that Mr. Griffiths campaign has had a challenge keeping up with fundraising compared to the other candidates in this contest. Calgary-North Hill backbencher Kyle Fawcett is the only MLA to have endorsed Mr. Griffiths. 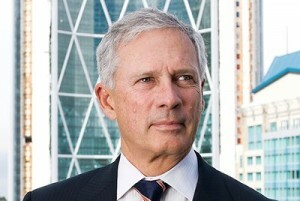 He supported Jim Dinning in the 2006 PC leadership contest. Slogan: Let’s get it done right. Elected experience: MLA for Spruce Grove-Sturgeon-St. Albert since 2001. Background: Calgary Tories still bitter from Jim Dinning’s defeat in 2006 will try to paint Mr. Horner with the same brush as they did Premier Ed Stelmach. Mr. Horner is a more comfortable figure than the Premier and did a decent job filling various cabinet posts, including Agriculture and Advanced Education & Technology. The heir to a three-generation political dynasty, Mr. Horner follows in the footsteps of his grand-father Senator Ralph Horner, his uncles former MPs Jack Horner and Norval Horner, and his father former MP, MLA and deputy Premier Hugh Horner. Big shoes to fill. Under the auspices of the grassroots Albertan group, led by advisor Brad Ferguson, Mr. Horner is embarking on a province-wide “Think Big Alberta” speaking tour with retired Canadian Forces General Rick Hillier and Vancouver 2010 Olympic Committee CEO John Furlong. The tour kicks off in Edmonton on June 22 and has stops planned in Red Deer, Grande Prairie, Fort McMurray, Lethbridge, Medicine Hat, and Calgary. 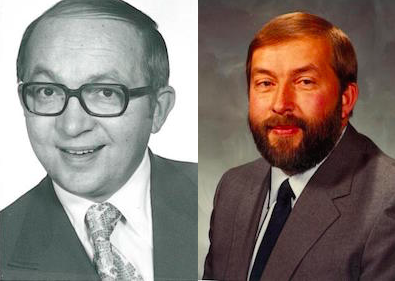 In 2006 he supported Mark Norris on the first ballot and Ed Stelmach on the second ballot. 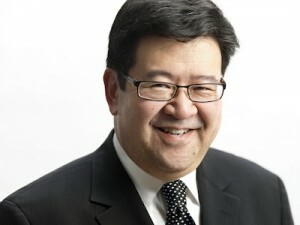 Elected experience: MLA for Calgary-Nose Hill from 1993 to 2004 and Calgary-Mackay from 2004 to 2007. Background: Smart and slick, Mr. Mar’s campaign has the feel of a candidate for the United States Senate, which is not surprising considering that he has spent the past five years dining and lobbying the Washington DC political establishment on behalf of the Alberta Government. An MLA and cabinet minister from 1993 until 2007, he has been out of the public eye long enough not to be directly tied to the current PC Party administration. Mr. Mar’s campaign carries significant support from Establishment Tories like former Finance Minister Iris Evans and current Energy Minister Ron Liepert, who rumours say has been trying to strong-arm support from other Tory MLAs. Mr. Mar’s campaign public relations are being handled by long-time government spokesperson Mark Kastner, who is still listed as Alberta Health Services Executive Director of Media Relations. The membership list of a secret Facebook group created before Mr. Mar officially entered the PC leadership contest included Jim Dinning‘s 2006 campaign chairman Brent Shervey, Calgary-Nose Hill MLA Neil Brown, Drayton Valley-Calmar MLA Diana McQueen, Edmonton-Rutherford MLA Fred Horne, co-chair of the PC Party’s 2008 election platform committee Brenda Barootes, and pollster Janet Brown. 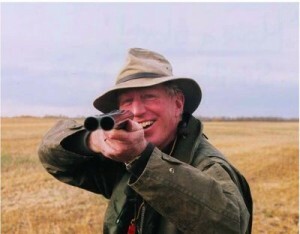 He supported Jim Dinning in the 2006 PC leadership contest. Background: This blast from the past could turn into the Ron Paul of the PC leadership contest. As the MLA for Calgary-Montrose from 1986 to 1993 and third place candidate in his party’s 1992 leadership contest, Mr. Orman faded into political obscurity until making a return as a candidate in this contest. Taking aggressive positions at candidate forms and typing with a sharp wit on Twitter, he does not owe much to the PC Party in its current incarnation and has little to lose by telling PC members what the other candidates are afraid to say. It has been suggested that Mr. Orman’s candidacy poses the biggest threat to Dr. Morton. Mr. Orman’s campaign is moving into an office recently vacated by Calgary-Centre Conservative MP Lee Richardson‘s campaign team, opening speculation that Mr. Orman’s support may not be so thin. Background: The only woman in this contest, Ms. Redford is not your typical Red Tory. While her campaign has so far focused on important issues like health care, education, democratic renewal, and energy policy, the safe communities initiative during her time as Justice Minister demonstrated that she is creative enough to look beyond the “tough on crime” agenda. She is also appears to be taking a page from popular Calgary Mayor Naheed Nenshi and Edmonton City Councillor Don Iveson by “campaigning in full sentences.” (This may have been influenced by her campaign strategist Stephen Carter, who was involved with Mayor Nenshi’s campaign). Ms. Redford has only been an MLA since 2008, but her political experience is broad, ranging from serving as a Senior Policy Advisor to External Affairs Minister Joe Clark, being appointed as one of four International Election Commissioners to administer Afghanistan’s first parliamentary elections, and challenging Calgary-West MP Rob Anders for the Conservative Party nomination in 2004 (she was unsuccessful). Background: The former Finance Minister and third place leadership candidate from 2006 who’s actions forced Premier Ed Stelmach to resign and this contest to begin. Many of his key organizers from his previous leadership bid have joined the Wildrose Alliance and it is questionable whether they will return to the PC Party fold if they have embraced Dr. Morton’s ideological soul-mate Danielle Smith. His time as Finance Minister hurt his conservative credentials, especially among rural landowners furious at the government’s recently passed transmission line legislation – Bill 50. In 2006, Dr. Morton received support of Rob Anders, Myron Thompson, and Jason Kenney, who have each since quietly or loudly shown support for the Wildrose Alliance. Background: Yet to enter the contest, rumours have been swirling for months about Minister Lukaszuk’s potential entry into this contest. He would be the only MLA from Edmonton to enter the contest and while he would be a long-shot candidate, it could help solidify his position in cabinet under the next PC Premier. He supported Jim Dinning in the 2006 leadership contest. This entry was posted in Alberta Politics and tagged Alison Redford, Brad Ferguson, Brenda Barootes, Brent Shervey, Danielle Smith, Diana McQueen, Don Iveson, Doug Griffiths, Doug Horner, Ed Stelmach, Fred Horne, Gary Mar, Hugh Horner, Iris Evans, Jack Horner, Janet Brown, Jason Kenney, Jim Dinning, Joe Clark, John Furlong, Kyle Fawcett, Lee Richardson, Mark Kastner, Mark Norris, Myron Thompson, Naheed Nenshi, Neil Brown, Norval Horner, Ralph Horner, Rick Hillier, Rick Orman, Rob Anders, Ron Liepert, Ron Paul, Stephen Carter, Ted Morton, Thomas Lukaszuk on June 4, 2011 by Dave Cournoyer.